High heel shoes have been the choice of every woman for every occasion for a very long time. There is many times where you would need your heels to be altered like increasing or decreasing the size. At our Shoe Hospital we offer the finest cut heels service without damaging the charm of your shoes or boots. It’s a team of professional cobbler who have been offering the services for many decades. With thousands of happy customers in the NYC, we are the much preferred for cut heel repair and shoe repair services. When walking had turned inconvenient due to any damages in the heels, its important to cut heel from shoes at the earliest. An imperfect pair of shoes can lead into several health issues such as body ache, leg pain or even spine problems. Therefore, it is necessary to remove or alter them to suit your body posture. There are special genres of services accessible to the customers at expected budget at our Shoe Hospital. A reliable service can be accomplished with the shoe hospital as the cobblers here are experts in offering long lasting solutions to the customer requirements. Call the support desk to know the prerequisites to place order and in no time, your order can be in. Our experts work on every known heel type such as stiletto heels, kitten heels, platform shoes etc. We use the finest tools supported with latest technology in cutting and repairing heels. Our services are highly preferred in NYC with thousands of happy customers in the last couple of decades. Our experts are well trained and experienced in repairing heels and soles. 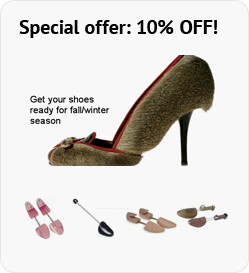 Heels cut off with accuracy and are shaped with the help of latest technology. We understand the discomfort you feel with damaged heel and we take immense care to repair them. If your heels cut down we fix it with the best adhesive to ensure it doesn’t happen again. We help you care your foot with the best in city cobbler services. Heels make bigger impact in your footwear. Its necessary to ensure your heels are perfect and doesn’t cause you difficulty in walking. This is why we are here offering all these services under one roof at our Shoe Hospital.